We&apos;ve spent a lot of time recently talking about fuel and filtration, in the pages of PMM, at boat shows, and at Trawler Fest. It&apos;s a topic that many of us find mysterious and perplexing. Ever-changing technology and emissions regulations compound the confusion, creating inconsistencies and leaving many boaters struggling to keep up. What was correct a decade ago isn&apos;t necessarily valid today. The following letter was sent to me by Scott Strickland, owner of Strickly for Fun, a Nordhavn 47 I had the good fortune to serve as crew aboard during a transatlantic crossing. Scott&apos;s experience, while anecdotal in nature, brings up several issues that are worth comment. I hope this discussion will help generate more dialogue on the topic and give you a framework for crafting your own fuel filtration solution. After crossing the Atlantic Ocean as part of the Nordhavn Atlantic Rally in 2004, Strickly for Fun, a Nordhavn 47, recently completed a second transatlantic passage back to this hemisphere. The boat arrived safely in the Caribbean after successfully completing the 3,700-nautical-mile leg from Morocco to Grenada. Strickly for Fun has been a very busy boat since Teri and I took delivery of her in early 2004. Shakedown of the boat occurred up and down the coast of California. We continued to the Gulf of Mexico and through the Panama Canal before arriving in Ft. Lauderdale, where we spent a week preparing for the Nordhavn Atlantic Rally. 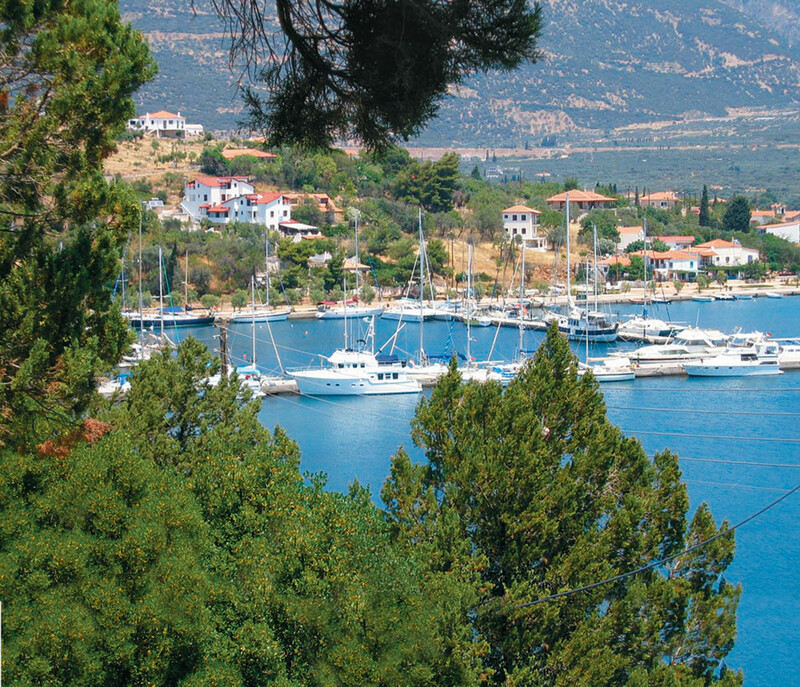 We spent the last three seasons cruising around the Mediterranean, visiting Turkey, Greece, Italy, Croatia, and Spain. 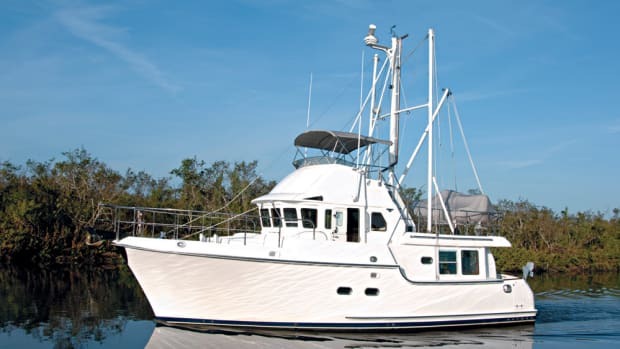 When I decided to bring the boat back home, I recruited some of my buddies, Frank Sain (owner of Darlin&apos;, a Nordhavn 40), Tom Selman (owner of Down Time, a Nordhavn 50), and Ron Montague (a fellow Nordhavn 47 owner). Departing Ceuta, Spanish Morocco, on Oct. 21, we stopped in the Canary Islands, then the Cape Verde Islands, and arrived in Grenada after 26 days. The total distance was 3,738 nautical miles, with a total fuel burn of 2,120 gallons. Our average speed was 6.7 knots. Without question, the worst part of the experience, even with rough seas and nasty weather for much of the trip, was having to repeatedly change fuel filters under way. At one point, we were replacing a fuel filter every eight hours. I had cleaned my fuel tanks at the start of our adventure, in Gibraltar, just before we left. And I did it for the third time in the Cape Verde Islands, where I could not buy Racor filters anywhere. I routinely ran my boat&apos;s fuel polishing system, but my experience indicates it wasn&apos;t effective. I had the fuel that I&apos;d purchased since leaving the United States analyzed on four separate occasions, and I found our average ISO cleanliness code sample reading was 21/18, which translates as "very dirty." The first figure is the number of particles larger than 2 microns in a milliliter of diesel fuel; the second figure is the number of particles larger than 5 microns in the same volume of fuel. Typical fuel samples come in at 10/7. In the process of testing, I also learned that "normal" fuel typically has 7.5 5-micron particles per milliliter. The fuel sample taken from our Nordhavn had 15,000 particles that were 5 microns in size, and 3,750 particles that were 15 microns (for more on the ISO cleanliness code, check out polarislabs1.com/decoding.htm). A question I have is, what would have happened if I had used 10-micron filter elements as the primary filters instead of the 2-micron ones? My Lugger on-engine filter is a 7-micron filter. On our leg from the Canaries to the Cape Verde Islands, we went through 11 filters. I calculated that had we been using 10-micron filter elements on this passage, we would not have had to change the filters. But the serious question is, what would have happened to the secondary filter? There is less media in the secondary filter on the engine. I have not opened one, but I can tell by looking that the canister is smaller. This means that it would hold less junk until it plugged. There is also no gauge on this filter; it is a pressurized filter, so the only way of knowing that this filter is plugged is when the engine dies. We had probably 6-foot aft quartering seas on average for much of this leg, and the engine room temperature was between 118° and 128° (after the generator was run). Being 1,000 miles from the nearest land, I had to work in my engine room to change the primary filters about 15 times while under way. But I would much rather burn a bunch of 2-micron elements than have the engine die far offshore. I would have had to figure out why the engine had died in the first place, and then I would have had to change a filter on a hot engine in a rolling sea. I agree that the answer to Scott&apos;s question is indeed obvious, despite the raging debate on this subject. And we thank you, Scott, for sharing your test results with us, because they may enlighten folks who struggle with this issue. We get an inordinate amount of mail on the topic of fuel filtration, probably due to confusion that stems from rapidly changing technology. Scott&apos;s 2-micron filter elements did their job, although his fuel polishing system clearly did not. While he changed a lot of filters, he got across the ocean safely. And that, ultimately, is the final endorsement. Let&apos;s look at the situation from several angles. In the United States, when diesel fuel leaves the dock pump, it has been subjected to filtering to eliminate particles that are 30 microns or larger. So the fuel you bring aboard can contain particulates, dirt, microbes, fungus, water, and bacteria. Filtering fuel as it is pumped aboard is impractical. The sailing community cherishes its trusty Baja filters, but they are way too slow to use when filling up a trawler. Next, let&apos;s look at the developing technology of diesel engines. With the coming of Tier II engine emissions, electronic engines are here, and the amount of pressure in fuel injection systems also has changed dramatically. Pressures used to be around 3000psi. Today&apos;s common rail fuel injection systems work at very high pressure, such as 30,000psi. That is an enormous change, requiring tight tolerances in engineering and manufacturing to handle the increased pressure and heat. Ninety percent of diesel engine problems are caused by dirt and water in the fuel. Eight out of 10 engine failures are related to poorquality fuel. The number one cause of fuel system wear is abrasive particulates that are smaller than 10 microns. A lot of research about diesel fuel and fuel injection has been conducted in recent years by engine manufacturers and independent testing companies, such as Austin, Texas-based Southwest Research Institute and the above-mentioned Polaris Labs. The accepted truth is that the particles that do the most damage to today&apos;s fuel injection systems are approximately 7 microns in size. So, relying on a 10-micron filter element is fine for a pre-Tier II engine, but not for a high-pressure Tier II machine, as the existence of water and larger particulates is very abrasive and can destroy an injector in short order. No diesel engine has ever been harmed by fuel that was too clean. Two-micron filters rule on Tier II diesel engines. Older engines can get by with less filtration, but the move is toward cleaner fuel in general. Now let&apos;s discuss this on-engine filter business. Why would anyone choose to leave the final filtration on the engine when heading offshore, even if he or she is using a 2-micron filter? An on-engine filter is expensive, it&apos;s much smaller than an off-engine filter element, it&apos;s under pressure, it has no way to inform you of its condition except by killing the engine, changing the element is inconvenient and involves bleeding the system, and it ison a hot engine. Relocating this final filtration step so that it&apos;s not on the engine is probably the best thing you can do to improve the reliability of your offshore-capable vessel, as well as your fuel delivery system, no matter what vintage engine you have. Installing a switchable, measurable, dual-filter secondary setup that mimics the common primary filtration arrangement, with 2-micron filter elements that match or exceed your engine&apos;s requirements, in an easily accessed location is a much better option. This would enable Scott to change his filter elements in a relatively convenient location in his Nordhavn&apos;s warm engine room while under way. Every engine room is different, but there is always a better location for such a filter setup than on the engine. With this arrangement, you have easily serviced, multistep primary and secondary filtration. Such a setup takes the single point of failure off the engine and improves your system&apos;s dependability, because you can switch from one filter to the other with the turn of a handle. If you cruise where you are never in harm&apos;s way, you may not care about this, but if you cruise long distances in remote regions, it should be part of your self-sufficiency mantra. I admit I&apos;m a big fan of fuel polishing systems, and many of the above comments relate to vessels that are so equipped. Fuel polishing systems create a reliable fuel supply that is filtered before it is needed in the delivery circuit. For vessels that do not have proper fuel polishing capability, the multistep filtration approach that Steve D&apos;Antonio advocated in his recent article (PMM Feb. &apos;07) is an outstanding idea and one that is used successfully around the world. Sending fuel through a filter with a larger micron element and then through a second filter with a smaller micron element is a terrific way to keep things on track. 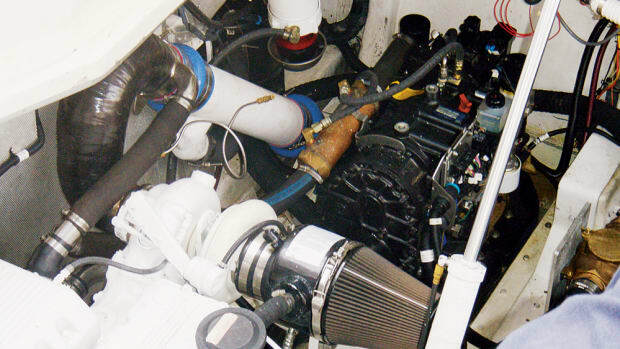 Depending on the requirements of your boat&apos;s engine(s), the multistep filter system will most likely ideally match or exceed the specifications of your engine manufacturer. This brings me to comment on Scott&apos;s fuel polishing issue. 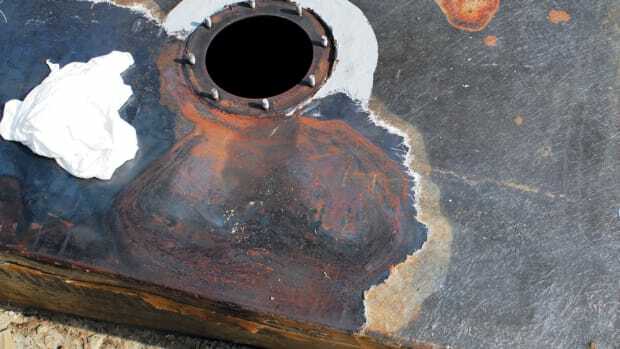 Having a little pump draw fuel out of a tank, running the fuel through a filter, and then returning it to the same tank does not constitute a proper fuel polishing system. We will print a full article by Steve D&apos;Antonio on fuel polishing systems, their components, and critical installation issues in the next issue. It should really move this subject forward and eliminate the gobbledygook. When I spoke to Scott after he sent his letter, he said he runs his polishing system for 72 hours at a time. As I&apos;ve been aboard Strickly for Fun, I know for a fact that the system is not adequate for the application; it can transfer fuel, sure, but it is not a true polishing system. On Scott&apos;s recent trip, all it did was clean a small flow of fuel and return it to a large tank that had contaminated fuel in it. Scott told me he had found a small hole in his polishing filter, but that really isn&apos;t the issue. Components of a proper fuel polishing system include a high flow rate through a filter that is sized to match the flow, large fuel hoses with minimal restrictions, and special tank pickups and returns that are designed and dedicated for this purpose. It&apos;s a complex system designed by highly experienced fuel system engineers; it is not your typical do-it-yourself boat project sourced from the hardware store. Scott, I hope I&apos;ve helped to answer your questions. And I look forward to a day when we&apos;ll see a better understanding in the cruising under power community of how to achieve optimal fuel filtration. If you decide to roam the world, self-sufficiency is critical to a successful experience. Cheating death is a good thing. Thanks, Scott, for sharing your anecdotal experience, and fair winds to you and Teri as you cross to the Pacific side of the world.